Well – how about joining together to make our own luck, by sharing a little blog love, each month? There are some fantastic weekly photo challenges to get your creative juices flowing – Travel Theme, Sunday Post, Weekly Image of Life and, of course, the Weekly Photo Challenge, to name but a few. 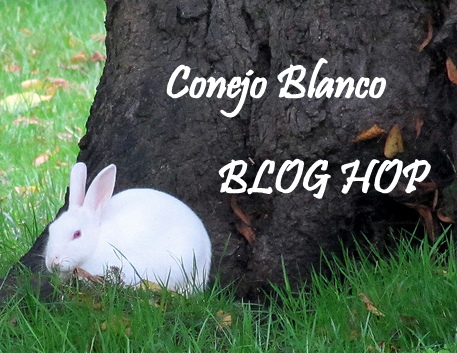 My new monthly challenge, the CONEJO BLANCO BLOG HOP (conejo blanco means white rabbit, in Spanish) will also introduce the element of sharing. On the first day of each month, starting in August, I will provide a theme to inspire you to post your own interpretation. Create your own blog post before the end of the month and entitle it “CBBH Challenge: (subject of the month)”, providing a link to this page so I´ll know your participating, and others can find it, too. Grab a BLOG HOPPER button, if you like! The difference between this and other photo challenges is that at the end of your post, you should introduce at least two links to other blogs you have visited and, most importantly, that you have commented on, during the past month. These links might be to someone who you are in regular contact with via your blog, a new blogger in need of some followers, or maybe a person who inspires or motivates you with their writing or photographs. By choosing to participate, you also agree to read and comment on at least two other blogs taking part in the Conejo Blanco Blog Hop. That way, when we visit each other, we can HOP OVER to your links, connect with others and share a little blog love around! Don´t forget to follow East of Málaga, so you never miss out on the monthly CBBH Challenge announcement. You can sign up via the email subscription link in the sidebar. 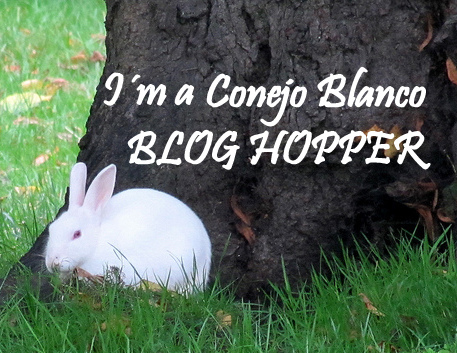 BONUS: If you find your blog featured as a link, you will be entitled to grab the CONEJO BLANCO BLOG HOP Featured Me! BUTTON to display in your sidebar. What do you think? Want to hop on board? This entry was tagged CBBH, conejo blanco, photography, Sunday Post, Travel theme, weekly image of life, Weekly Photo challenge. Bookmark the permalink. Great idea! Love the networking element, and the infrequency – and this month’s challenge. Having power/Internet issurighties days, but there’s no rush, is there? No, there´s no rush …. you´ve got until the end of August! You know what? I must be such a dumbo! I thought it was a WRITING challenge, not a PHOTO challenge! Still, happy to try and join in, though I have yet to discover how to insert photos into my blog – duh! Ah well, I can help you there, Tamara. If you click on this link it will guide you through how to insert an image into your WordPress blog. If you need any further help, give me a shout! A very exciting challenge. I will look into it. Thanks. Have a great week. Yes, I´m really looking forward to it. Thanks for voicing your support – it means a lot. Thanks Ailsa. Means a lot coming from you. OH – you can say it in any language, for sure! Any ideas for themes will be gratefully accepted! 😀 You always teach me something :D. Can I say “conejo” instead of rabbit when I wake up, or can I say “zec” which is in Croatian …. but what the heck my mother tongue is the one I least think in these days … my question is … does it count as good luck if I say it in any language? I think I love your idea … I think .. I will be sure once I see the themes ;). What appeals to me most is that I have a whole month to come up with the post… if I understood you correctly? They will come, Tamara, I´m sure they will! sounds lovely, we wait and see what you come up with! i like the once a month idea 🙂 we also know of the pinch and punch for the first of the month thing, but being gentle folk we never do it! white rabbits is vaguely known from british literature, so i am happy to be a white rabbit aficionado once a month …. I´ll get my thinking cap on then! Glad to have you on board, Christine. Ah yes, I read about “pinch, punch” when I was researching for my post! I must admit, I´d never heard about it before. I love that there are different traditions and superstitions throughout the world. It really would be a boring place if everything was the same everywhere. Glad you think my new challenge is a good idea. Like you, I thought there would be much less pressure with it being a monthly challenge. Besides, there are so many great weekly photo challenges already out there! It struck me that the whole purpose of the “Blog Awards” system or “tagging” people – with the rules expecting recipients to “nominate” others – really boiled down to producing and providing links between our blogs and those of others. And, let´s face it, we all want that, don´t we? I figured the CBBH Challenge would be a good way of introducing new blogs to each other, with the chance to comment and follow, but without the necessity of having to rack my brains to think of “25 fabulous moments in my life”; “what piece of advice I would retrospectively give to my teenage self”; “which celebrity I had a crush on” or “why I think I´m on this Earth”. (No disrespect intended to any awards/tags that demand answers to such questions). I want my blog to be about what I have chosen it to be about – East of Málaga – not to be distracted by answering questions about random and irrelevant subjects. After all, if people want to know about me, they can read my “About” page. This way, I can link to other blogs, yet still gear each of the Photo Challenges to fit in with my blog theme. makes sense to me too. what a great idea! I’ll see what I can contribute when the time comes. I too like that it’s monthly. Any thoughts or ideas gratefully received, of course!